STAX removes nearly 100% of all regulated pollutants far exceeding shore power. An average data center can have over 50 diesel back-up generators each requiring monthly testing. STAX helps data center operators greatly reduce pollution and meet their commitment to local communities. STAX helps fleets far exceed new and future emissions standards in North America, Asia and the EU. STAX removes nearly 100% of all NOx, SOx, Particulate Matter (PM) and most CO2. Helping the world be a greener, cleaner and healthier place for generations to come. Greener than Shore Power. Cleaner than Teir 4 Generators. 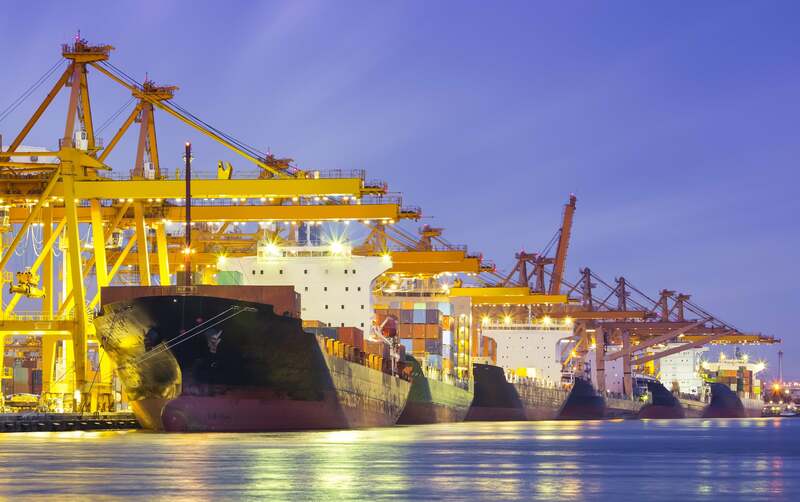 STAX is the world's only mobile diesel emissions reduction system that removes nearly 100% of all NOx, SOx, PM and most CO2 from both oceangoing vessels and backup generators. STAX is the superior next-generation near-zero emission alternative to Shore Power and Tier 4 standby generators. One STAX unit connected to a ship at berth is equal to removing 27,000 cars from the road. 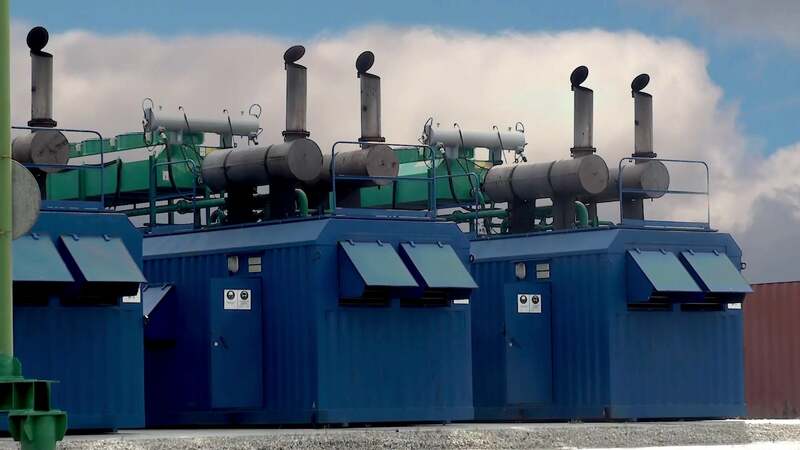 In addition to removing nearly all of the regulated pollutants, the STAX CO2 sequestration system exceeds grid-based shore power for reducing greenhouse gas. And, it does so at a significantly lower cost compared to all competition. STAX is protected by multiple patents (9 patents pending, and 10 additional patents planned) that significantly enhances an already proven technology, enabling superior efficiency and safety and lower cost vs. only a handful of modest, start-up type, capital constrained, competitors employing first generation technology. STAX provides clients a lower cost for compliance than any other competing technology. 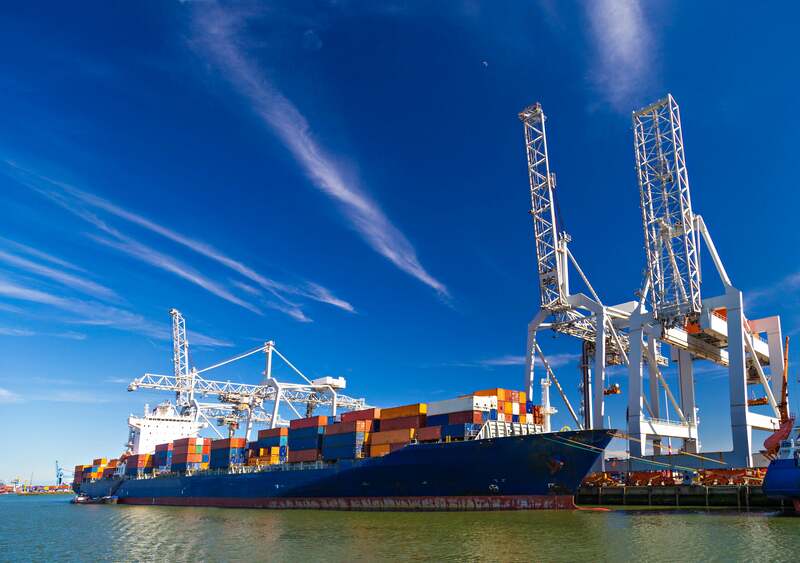 Given its superior level of efficiency over its competitors, this higher level of efficiency translates into the lowest cost alternative for shipping lines since STAX can achieve a superior level of compliance (removal of regulated pollutants) in less time. One STAX Barge, TRUX, or XGEN system serves multiple emissions sources seamlessly and effectively. 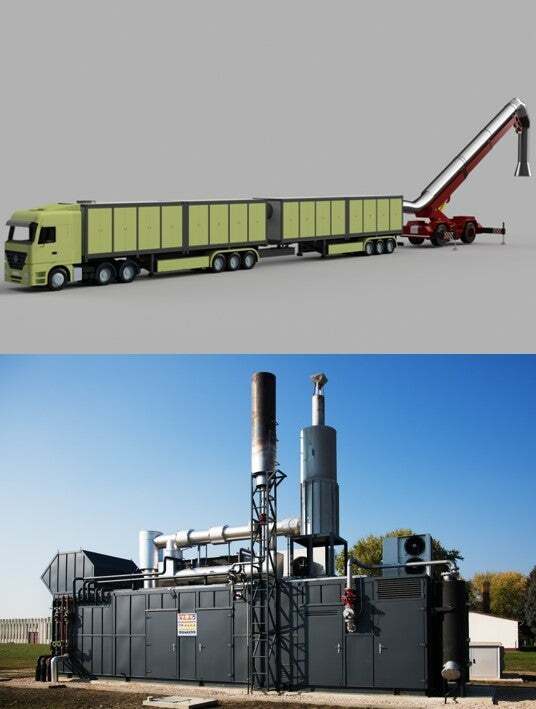 A single STAX Barge or TRUX moves from ship to ship removing deadly pollutants while an XGEN system services multiple gensets on land quickly and efficiently. 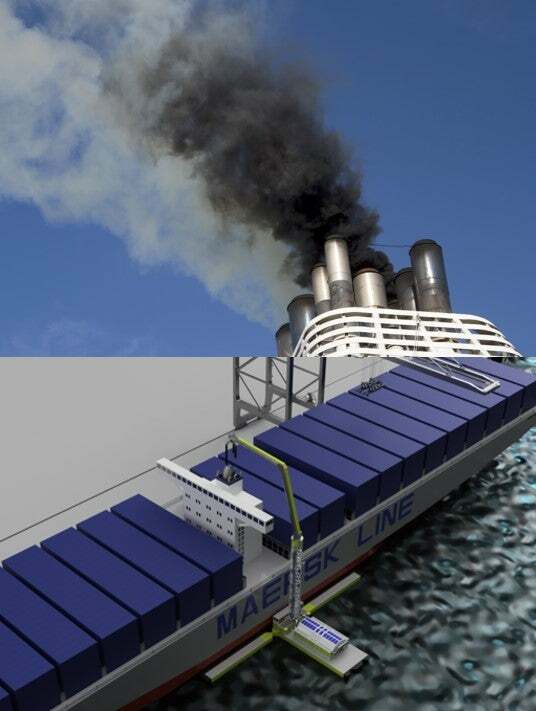 The STAX barge or mobile land-based exhaust purification technology connects directly to a ship’s exhaust pipes, providing vessel operators with a safe, reliable and cost-effective alternative to shore power. Compared to alternatives, STAX captures and purifies significantly more emissions at a lower cost, and features faster, trouble-free hookup. STAX has a production-ready containerized module design that can be easily and quickly deployed to dozens of STAX barge, TRUX and XGEN systems at ports and land-based installations throughout the United States and around the world. STAX technology is far superior to and provides several distinct advantages over shore power. STAX technology removes 99.9% of particulate matter (PM), 99% of NOx and SOx, and is the only technology that removes CO2. It is easily deployed on water (barge-based) or as a shore-side (pier-based) operation and is the only technology designed to clean boiler exhaust which is an important regulatory goal for regulatory agencies in all global markets. STAX units can be engaged in 30 minutes and disconnected in 15 minutes. Better yet, vessels are not required to be retro fit and can be charged by the hour providing maximum flexiblity with minimal capital outlay. Unlike shore power, STAX Technology can remove emissions from ships at anchor and boiler emissions at berth. Oil tankers cannot use shore power. Air quality regulations are increasing in California by 2020 to include all ship types. Due to its innovative design STAX technology can safely be used by oil tankers. Standby gensets provide emergency power for essential services such as data centers and hospitals. To guarantee reliability they are required to be tested monthly. Unfortunately, these generators produce a significant amount of contaminants that lead to serious health conditions such as heart disease, cancer, asthma and early death. XGEN removes nearly 100% of these pollutants greatly improving the overall air quality associated with standby gensets. XGEN removes significantly more harmful pollutants and is far less expensive to deploy than purchasing new Tier 4 generators, which are problematic and unreliable. The general public and government regulators are demanding greater control of standby genset emissions. Given the increasing global awareness of the harmful effects of diesel air emissions, and the recent and on-going efforts of governments to address it, the timing for the introduction of the STAX technology is optimal in this early-stage and environmentally critical market. Leading expert in mobile remote emissions control. 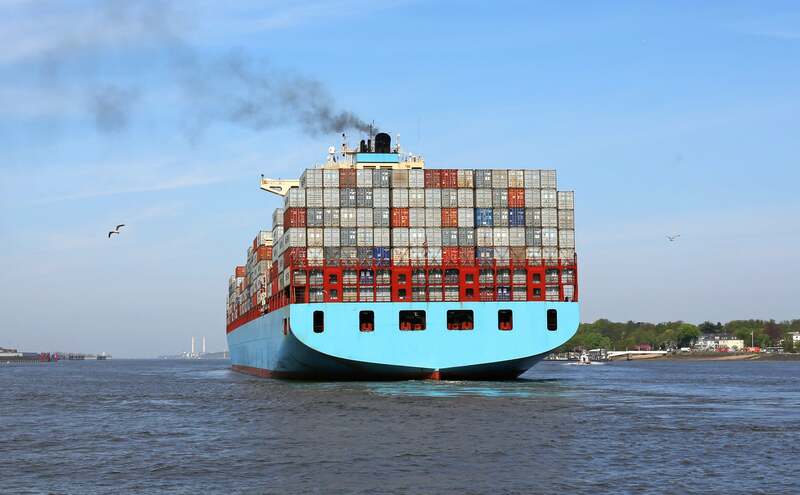 Pioneered berth emission controls since 2004. Demonstrated first capture and control technology. Developed first CARB test plan and successfully completed first CARB approved alternative technology system. Degrees in Mechanical and Electrical Engineering. 25+ years in air pollution regulation at California Air Resources Board and South Coast Air Quality Management District. Expertise in advance air pollution control technology development and commercialization. Proven expertise for building high performing teams. MS in Chemical and Ph.D. in Mechanical Engineering. 20+ years in investment and corporate banking including several top 10 global banks. 4 years experience as CFO of maritime emissions control company. Extensive experience and dept and equity financing. MBA, MA Economics and BA in Accounting, Finance and Marketing. 30 years in business development and business management spanning multiple complex and regulated industries. Co-Developer of 300MW utility solar project which signed the largest PPA (200 MW with a non-utility customer (Apple) in US history. Co-Founder and COO of a chain of 27 medical spas spanning over six states. Owner and principal of marketing consultancy business with numerous Fortune 500 clients and city governments. 10 years with the Walt Disney Company working domestically and internationally (19 countries) developing content for live entertainment, promotional events and television. BS in Business Management and graduate of business management certification programs at USC and UCLA. Contact us to discover more about the STAX Advantage. © 2019 STAX Engineering, All Rights Reserved.